I also saw Huey Lewis & the News at the Mann this month. My memory of that isn’t sharp, likely because I wasn’t a fan and knew few of the songs; I tagged along with some friends from high school – the last time I saw them, I think. About the only thing I do recall: a juggler (!) opened; and we were as far back on the lawn as possible due to arriving late. Among the LPs I purchased this month: Stephen Stills’ Right by You, The Best of Otis Redding, The Best of the Byrds: Greatest Hits, Volume II, John David Souther’s Home by Dawn and Jefferson Airplane’s Volunteers. One might surmise that I was out-of-step, musically speaking, with the times – and, to an extent, I was. 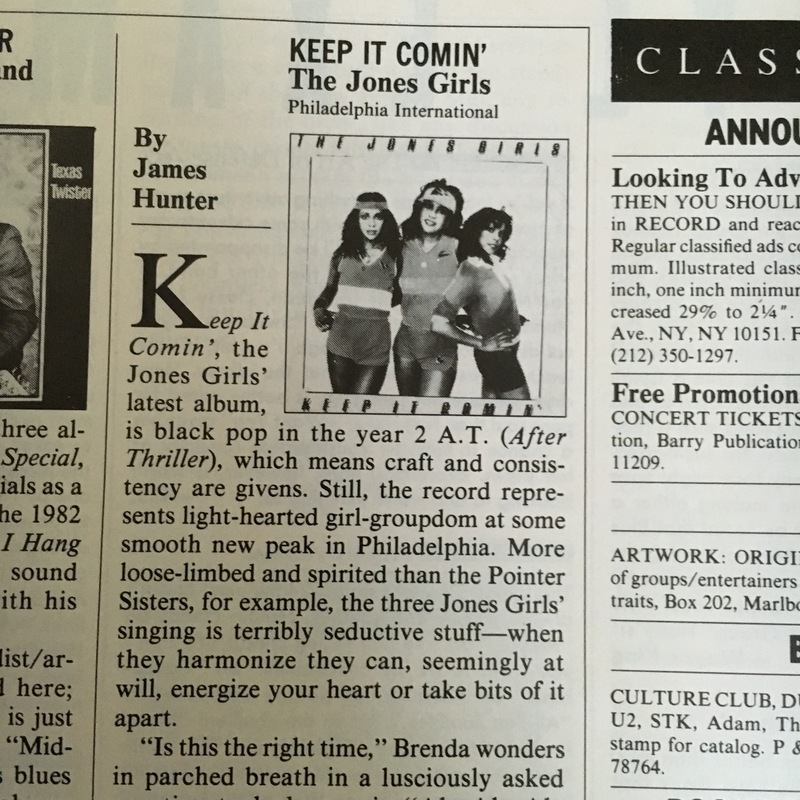 But I also liked the Go-Go’s – their Talk Show album came out in March, and would go on to become my Album of the Year. 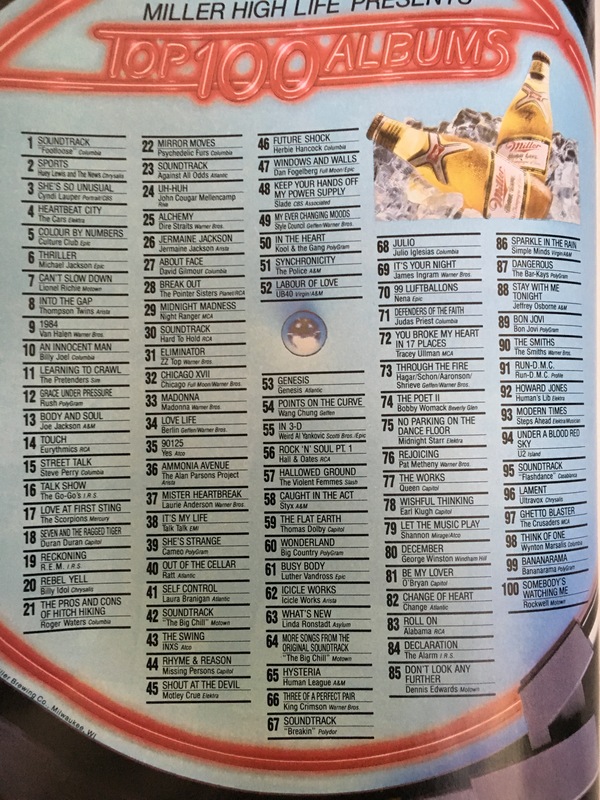 I also owned, by year’s end, 15 of the other LPs listed in this issue’s Top 100 Albums chart. 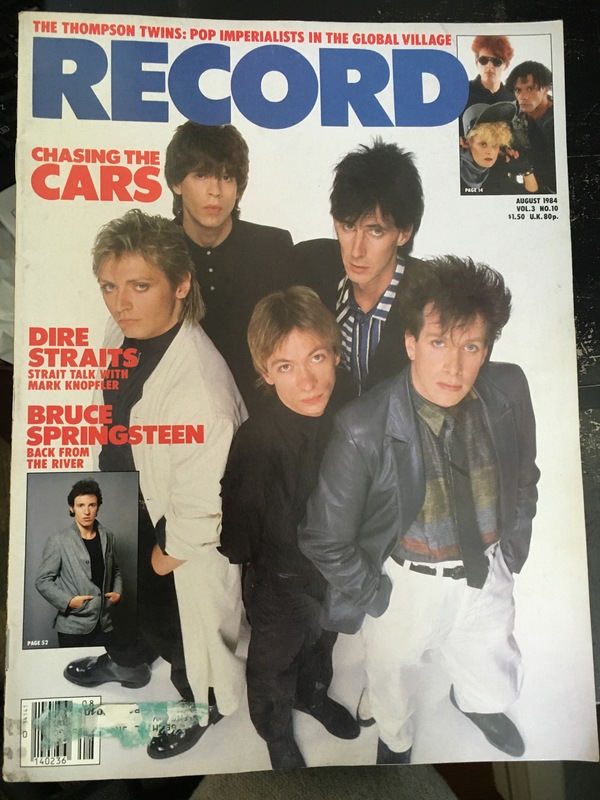 Anyway, the cover story features a band I could care less about, the Cars. They annoyed me then, and annoy me now. 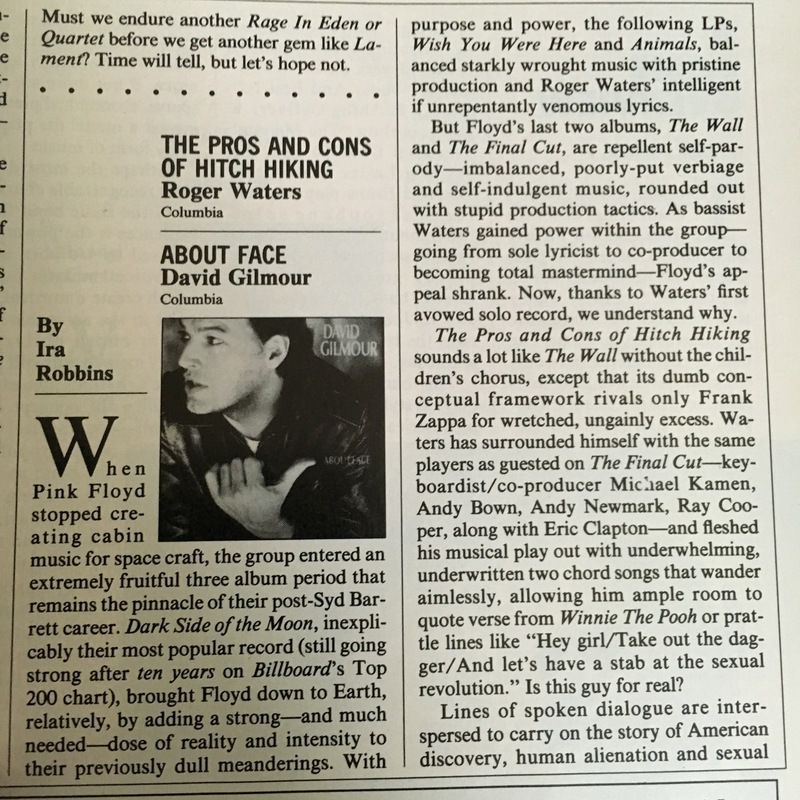 Other articles focus on the Thompson Twins, Mark Knopfler and Dire Straits, and Womack & Womack – all less annoying than the Cars. 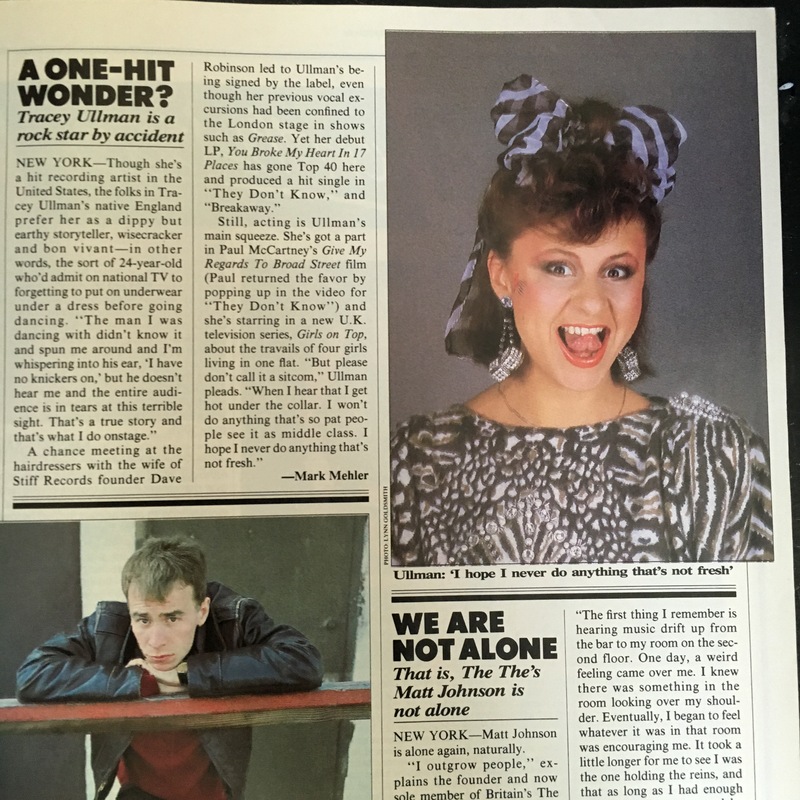 One note about this song: Kirsty MacColl, who wrote and recorded it in 1979, sings backup. 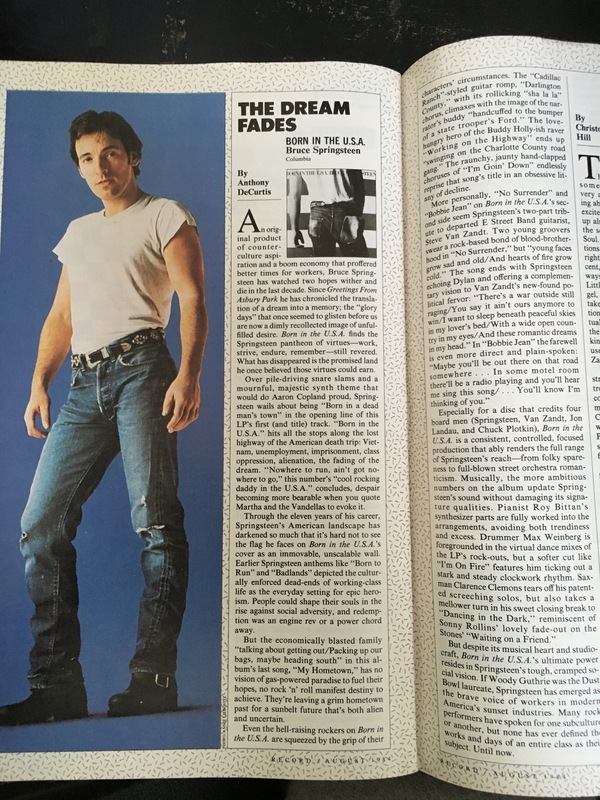 “I Am a Patriot,” which was later covered by Jackson Browne, is a message that still resonates. 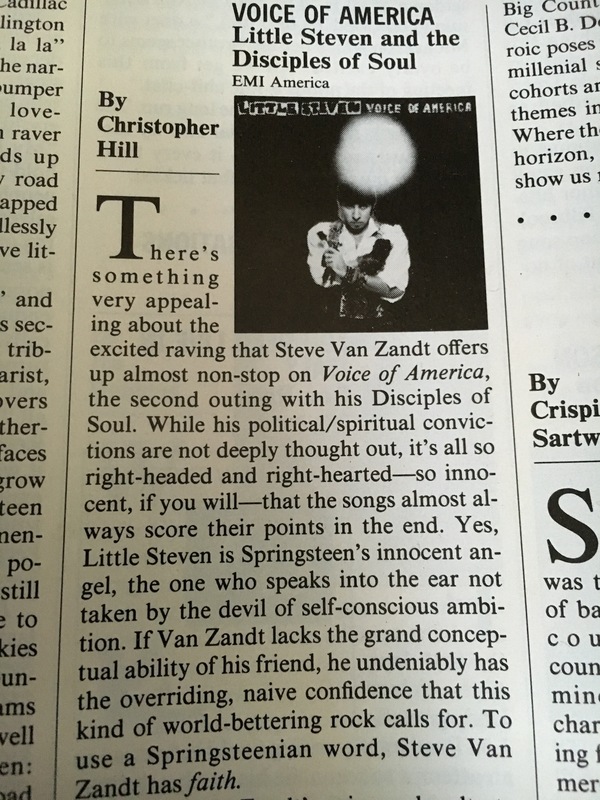 Honestly, I’d forgotten about them until seeing this review. I owned the cassette back in the day, but it went the way of most cassettes once CDs came into vogue. They still sound good. 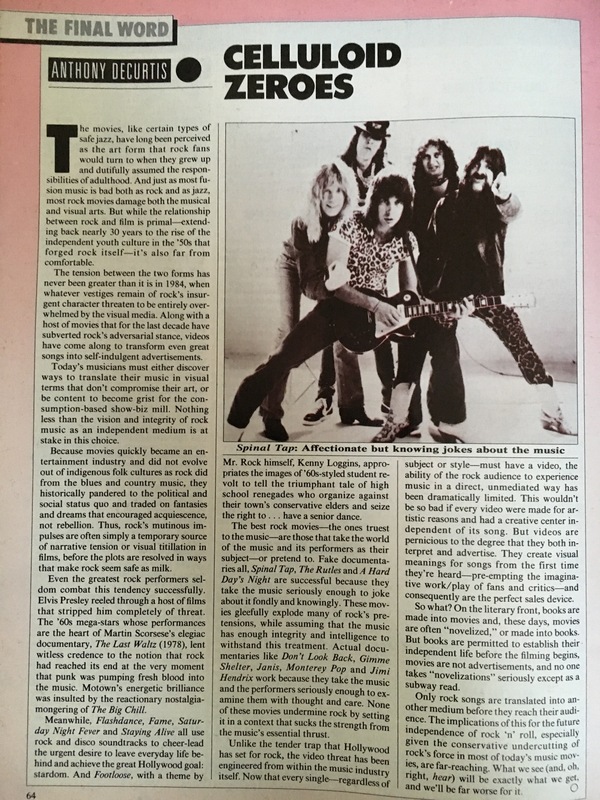 And one bonus: Spinal Tap – “(Listen to the) Flower People.” The issue’s closing essay is by Anthony DeCurtis, who ruminates on what happens when music and movies (or video) mix. He cites This Is Spinal Tap, The Rutles and A Hard Day’s Night, along with a litany of documentaries, as being successes, and points out the dark side of rock videos. The mention of Spinal Tap, however, reminds me of earlier in ’84, when I worked as an usher at a movie theater. This Is Spinal Tap was booked for a week; and, for those seven days, I think it attracted no more than 100 people. Yet, I laughed every time I watched it – it’s a classic.